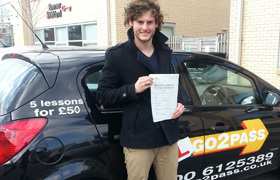 Driving Lessons and intensive courses in Liverpool with Go2pass driving school. 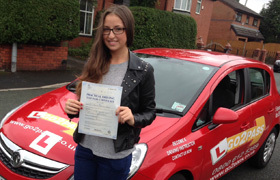 We are a driving school who offer driving lessons in all areas of Liverpool and Manchester. If you are having driving lessons in Liverpool and find your self moving to Manchester to work or study visit our Manchester page here for driving lessons. Providing knowledgeable and professional diving lessons in Liverpool and the surrounding areas is the number one goal of our team. We have a team of expert driving instructors and trainers who have guided countless students from all walks of life through the experience of learning to drive. We believe it is the patience and understanding of each of our driving instructors that really gives us a fantastic first time pass rate at practical driving tests, so if you are looking for the best male and female driving instructors in Liverpool, the search is at an end. Servicing Liverpool and all of its areas, we have qualified instructors ready to go to Aigburth, Allerton or any of the surrounding areas for lessons. We can even meet you if you’re going to be away from home. Our drivers will go to Sefton Park, Mossley Hill or even Childwall. Regardless, our goal is your convenience. The real quality behind the success of our methods is no secret. We believe in providing effective and enjoyable teaching that is designed around you as an individual. The hands-on experience you will gain coupled with professional advice on the spot is our tried and true formula for success. For the best driving lessons Liverpool and the surrounding areas, get in touch with our team today. 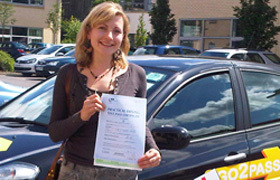 Every learner driver that has graduated our course is another notch on our belt of success. Every individual will determine just how long they need to learn everything it is that they will require to be ultimately successful in passing their test and in the years to come. Even if you just have a small amount of time, we are certain that you will be able to walk away having gained valuable knowledge and skills from your diving lessons in Liverpool. If what you really need is a group of kind people who can help guide you through a process we are all too familiar with, we are here to support you. No matter where you may have practiced with family or friends, we aim to fully prepare you for your test. We do this by practicing all known test routes in your area so you will be comfortable. When you are ready to take your test, we hope you will feel like the expert in the vehicle. The wide range of experience you will get from the diverse terrain and conditions we will be practicing in will ensure a thorough understanding of all possible testing potentials. Let’s be honest here, driving at home is going to be a lot different than driving around the rest of the country. This is why we aim to explore as many different variables with you as possible, to give you the ability to handle these situations flawlessly this will not only help you pass your driving test, but more importantly make you a great driver and keep you safe on the roads of Liverpool for many years to come. 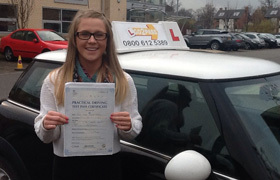 If driving lessons in Liverpool are an entirely new experience to you, there are a few things to be taken care of. First, you are going to need your provisional licence. This is a fairly straightforward process and so long as you are of age, you can go online here or to the post office and fill out the appropriate forms. Remember, there will be fees associated with several of the steps of that process. Once you have all that in order, you can begin your driving lessons in Liverpool in one of our dual controlled cars. Experience the freedom and safety of exploring your new skill, all the while in the safe hands of one of our driving instructors. Our high standard of driving tuition as well as our success rates are tremendous marks of pride for us, so if you need any clarification about driving lessons in Liverpool, do not hesitate to get in touch. Every one of our driving instructors in Liverpool is approachable and knowledgeable with one goal in mind – to get you as safely and quickly to pass your test. Learning to drive should be an educating but also enjoyable experience that will enhance your life. Let our experience guide your learning and work together for your success.